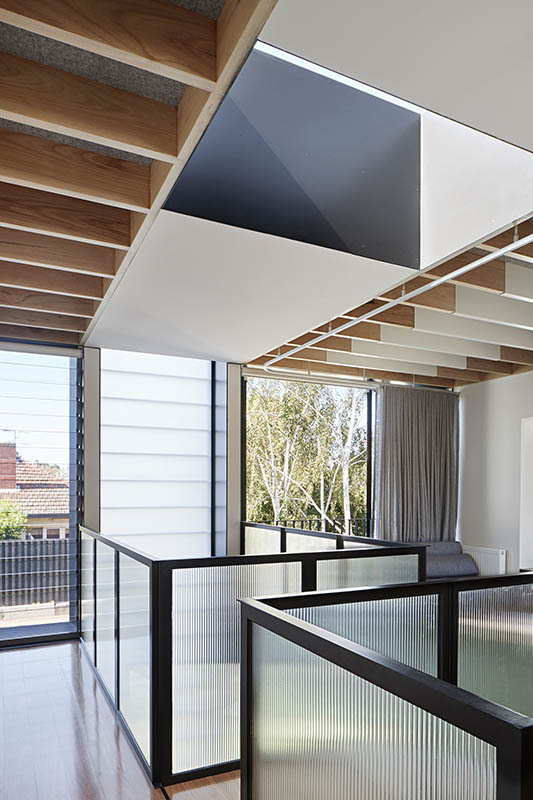 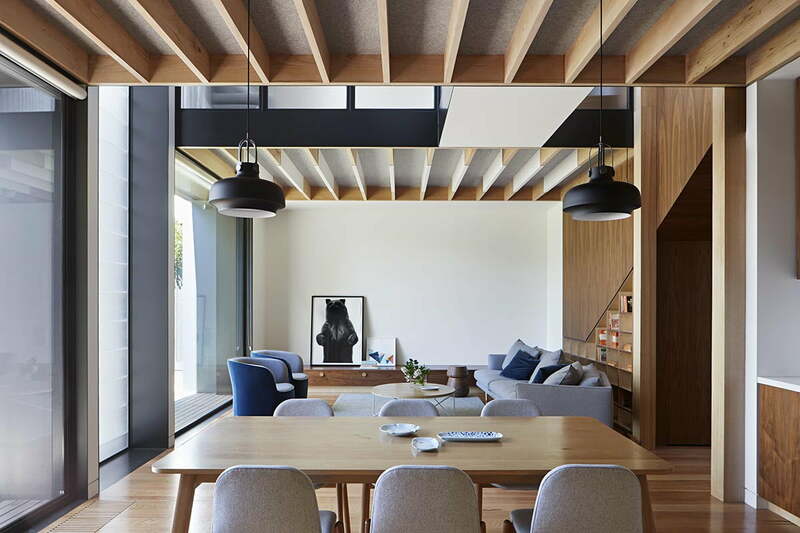 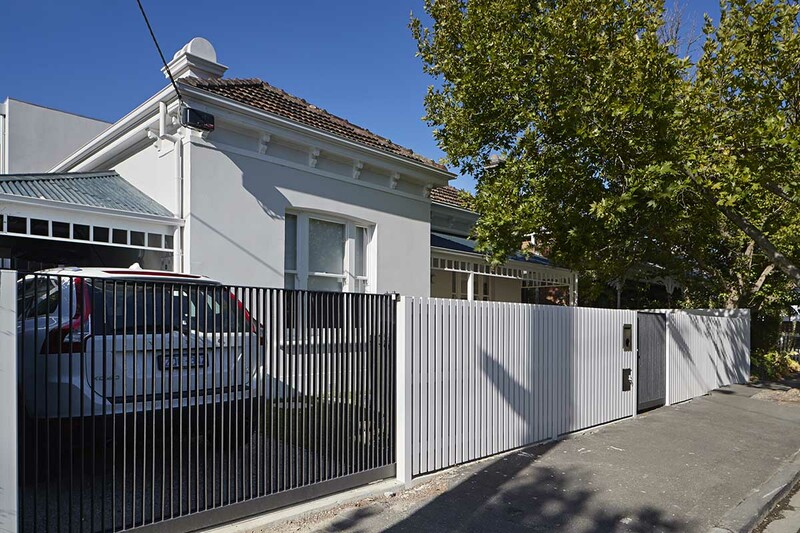 Sited to the north of Fawkner Street in South Yarra on a block just over 500 m2, this project is a renovation of the existing double fronted Victorian house and a reworking of the early nineties double storey extension. 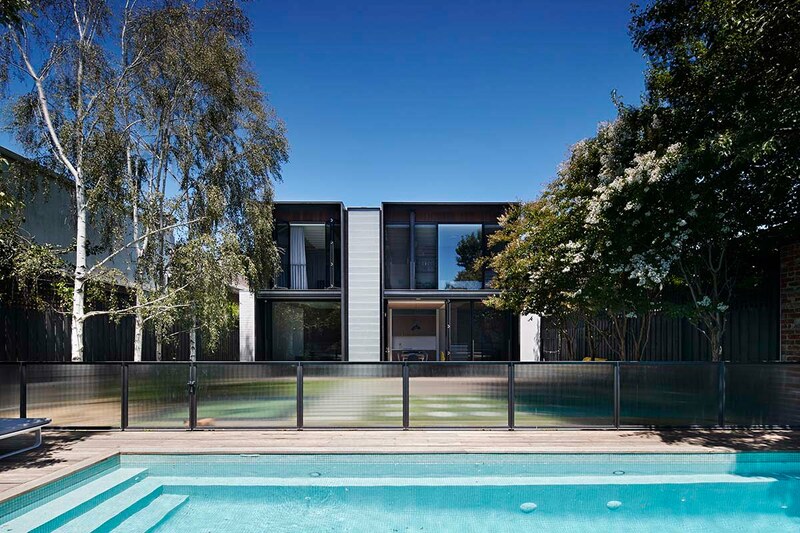 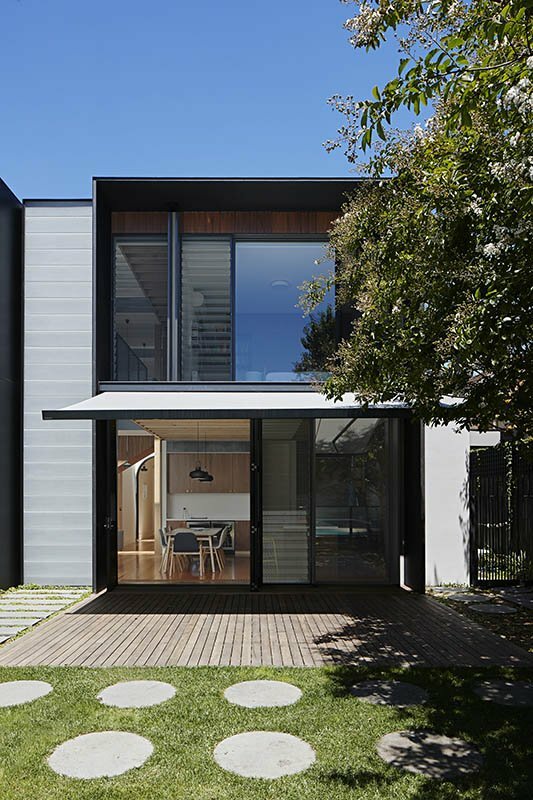 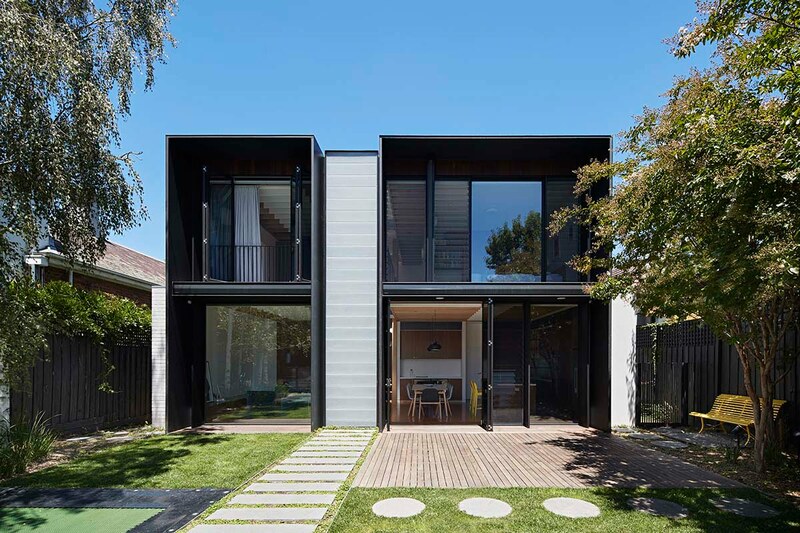 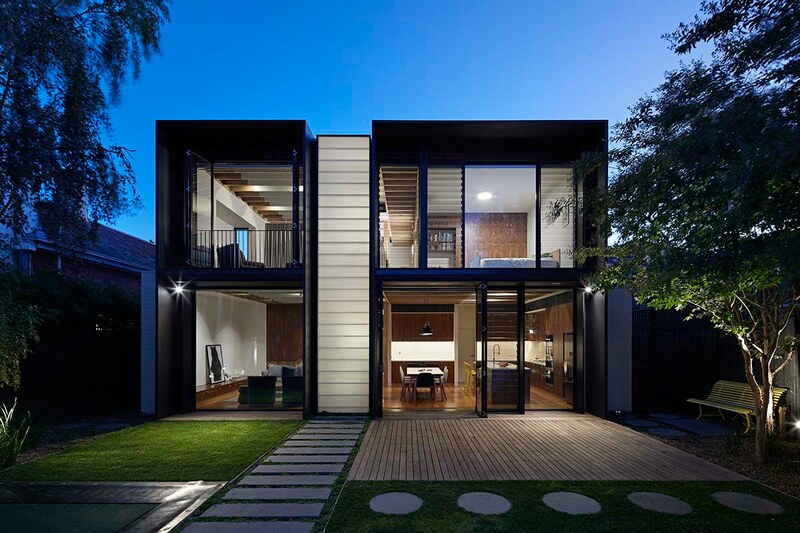 The new works are contained within the shell of the existing house with subtle changes to its front and a complete re-configuration of its rear. 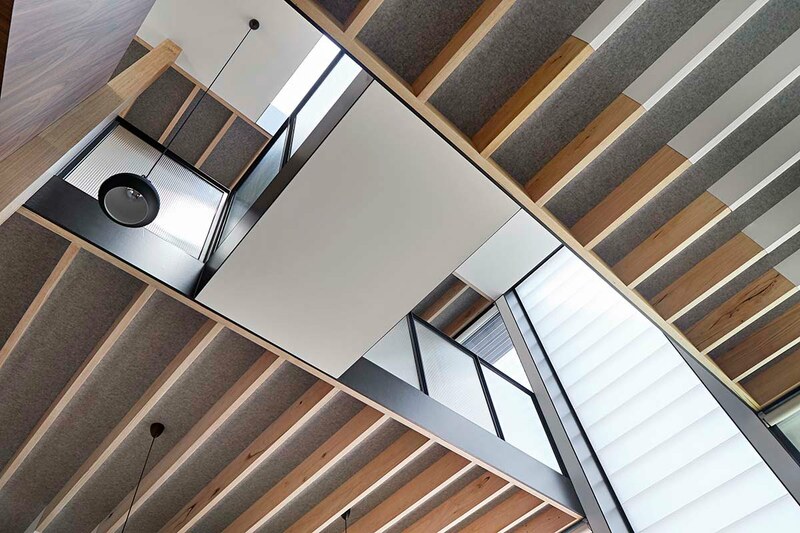 This project is designed around the delicate control of circulation, both horizontal and vertical to create an ever changing unfolding of view. 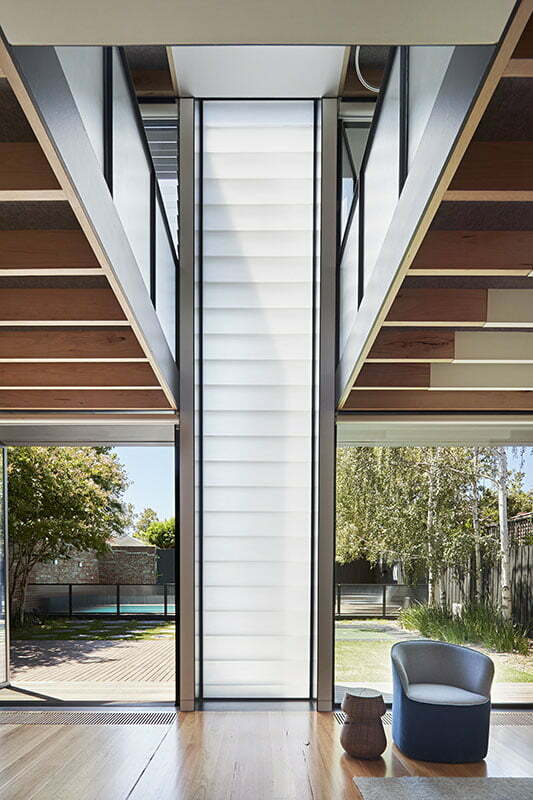 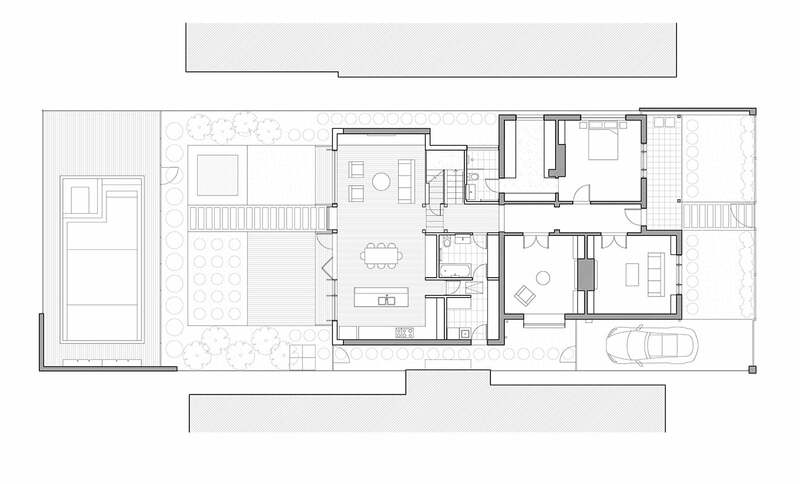 This entices the occupant from one space to the next whilst leaving the residual destination spaces calm and anchored as spatial eddy pools within the plan. 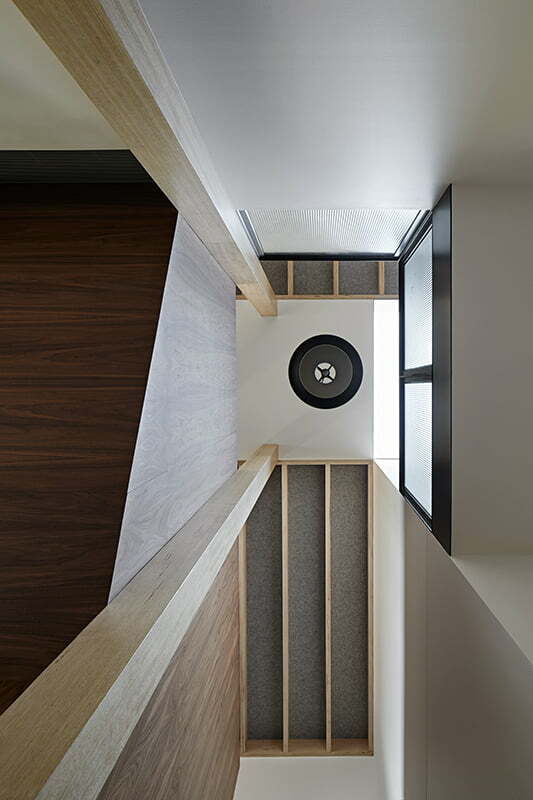 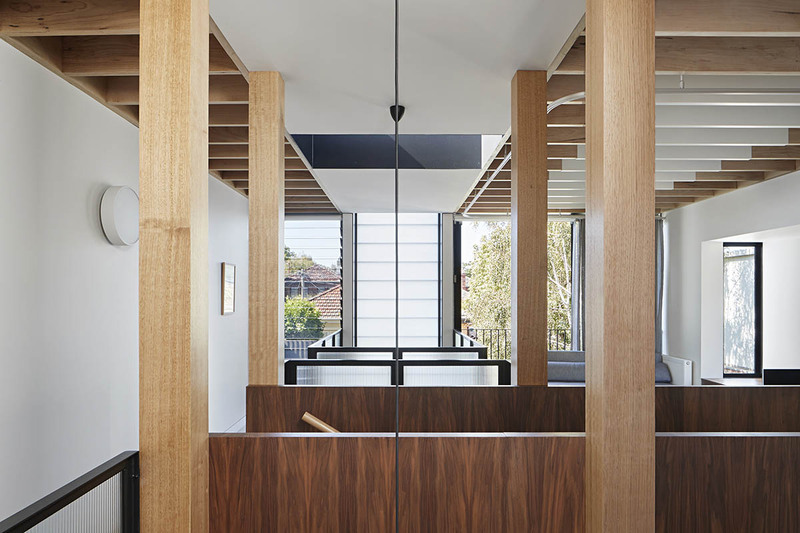 This project is one of several recent projects within the office that have engaged with circulation as the primary idea, fuelled by discussions about traditional Japanese architecture, particularly with Katsura Imperial Villa, Kyoto. 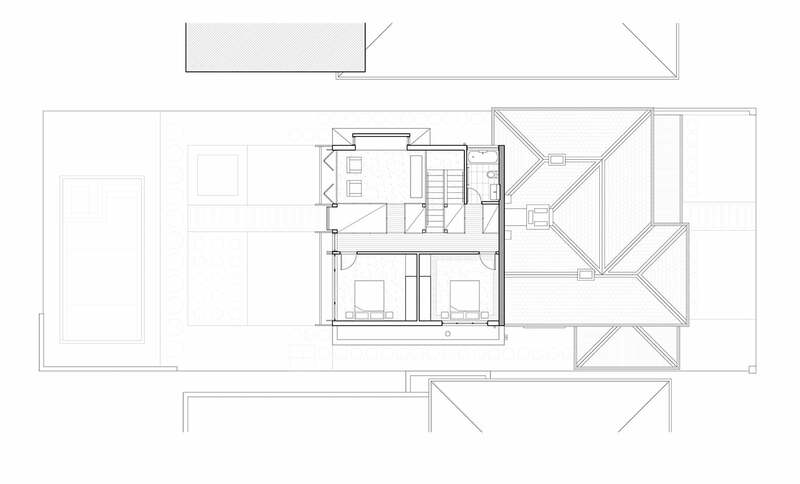 Open vistas are then deliberately denied to invite the viewer to seek out and discover that which lies beyond. 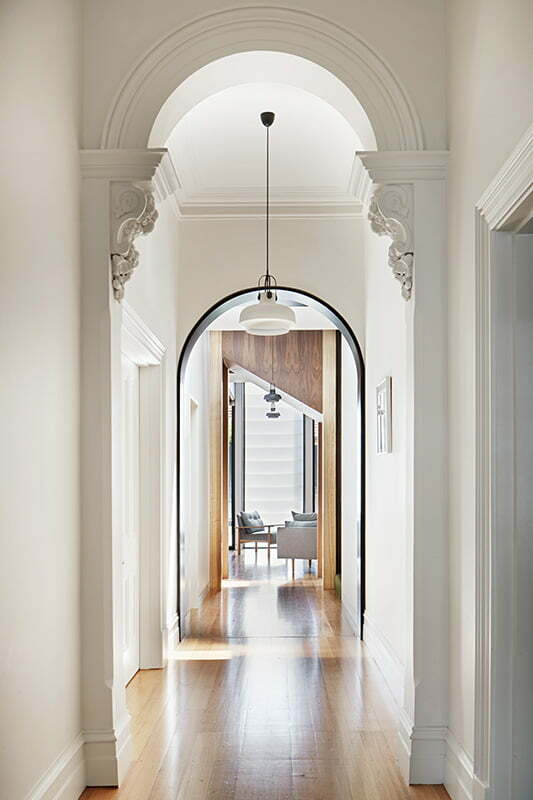 These discussions prompted by the conundrum of a dominant existing axis (the hallway of the original house) direct the view straight from the front door to backyard. 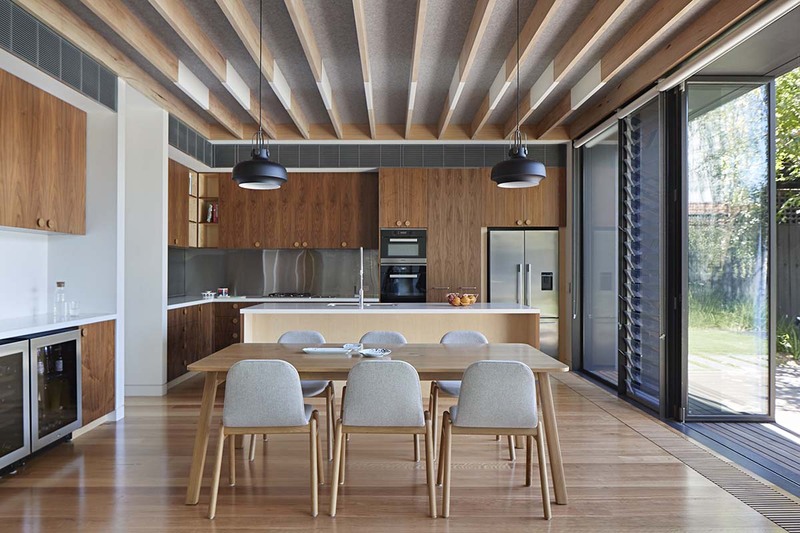 The sandblasted glass plank wall, a glowing panel, arrests this axial view, allows the transverse living spaces to become restful and contained, framed in turn by the views they offer both internally and externally. 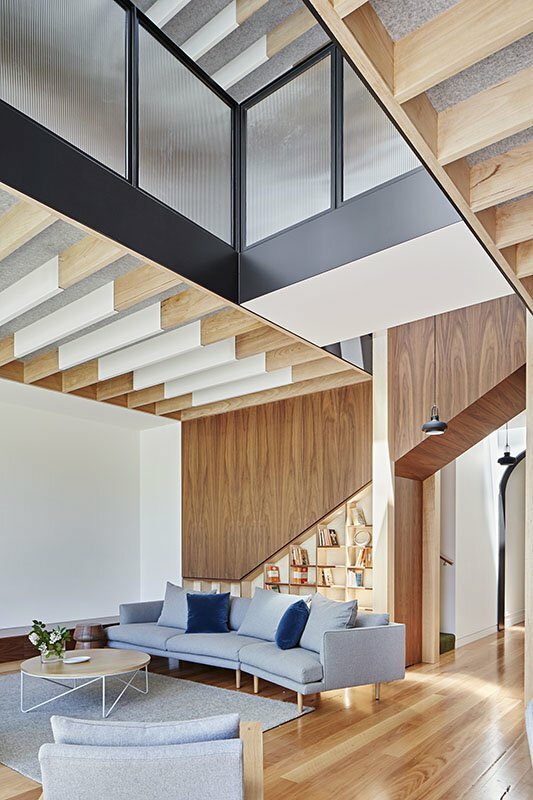 Similar gestures are explored vertically where the bridges across the central void upstairs deny all but slithers of view of the skylights far above, coaxing the occupant to the upper level. 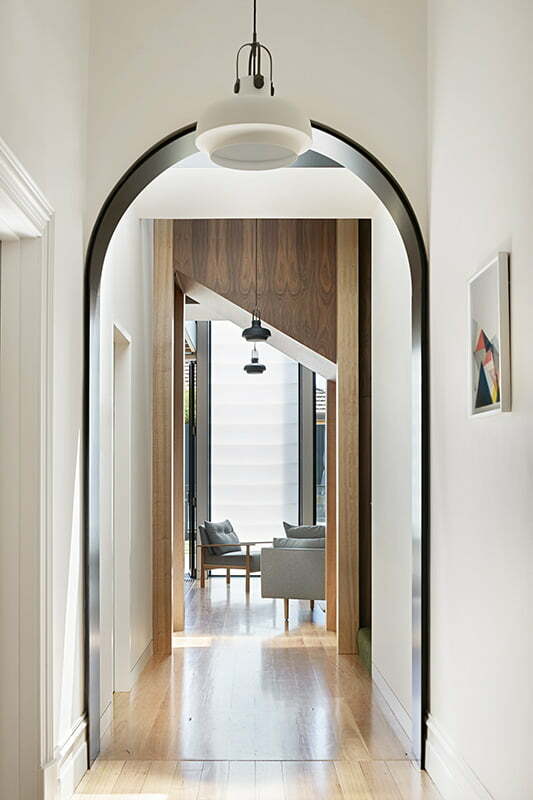 Here, open circulation along and over the central void connects bedrooms, bathrooms, and children’s play area. 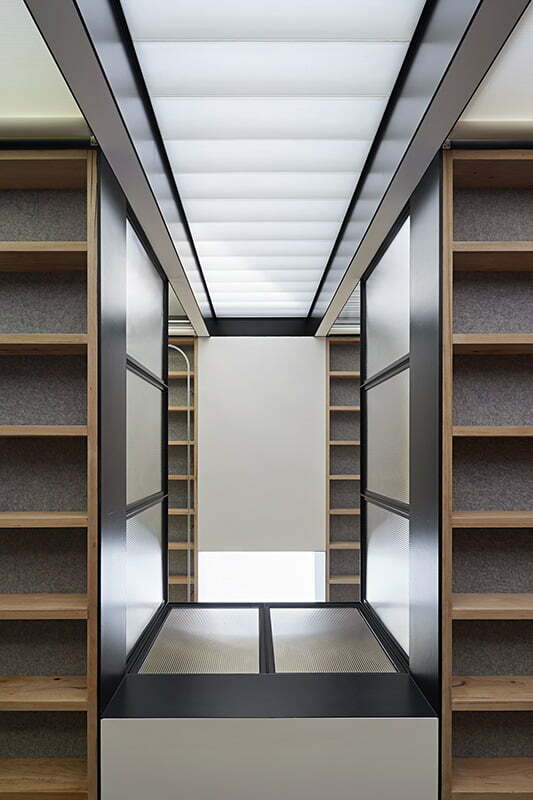 The void hence creates a series of planar visual thresholds both horizontally and vertically that frame views internally looking across the space and upward, the receding perspective capturing one view within another view within another.